Wyoming. 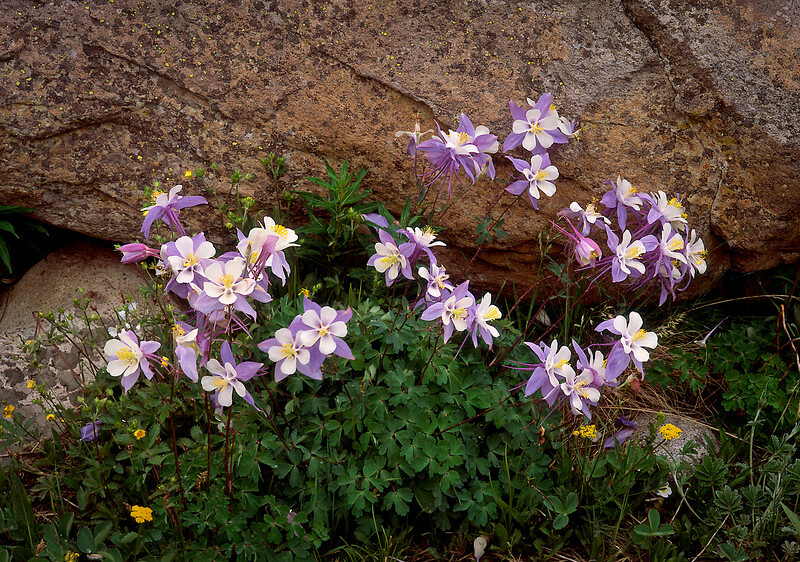 There is a profusion of lovely columbines blooming every July along the ascending trek beside Long Lake in the Snowy Range. I couldn't resist these cheerful faces peering up at me. Prints nicely to 34" on the long side. Click on the preview photo for a full screen view.